Among the pressing issues facing our county, economic development and high-speed internet are strongly linked. To attract new businesses that align with our treasured rural environment, and to support small and home-based businesses, we must have wider access to broadband — as well as net neutrality. Indeed, 54 percent of businesses here are home-based, and 70 percent of small businesses are owned and operated by a single person. I’m one of those “solopreneurs” and as a freelance writer and editor, I would not be able to earn my living without broadband access. This is why I urge you to vote for Hilary Hodge, who is running for the District 3 Board of Supervisors seat. 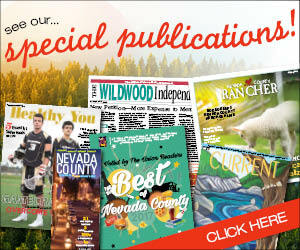 She is keenly aware of the need to invest in our small and home-based businesses — as well as how crucial it is for Nevada County to compete with urban and suburban locales to attract new talent. As executive director of Sierra Commons, a small-business incubator in Nevada City, she is extremely knowledgeable about effective job creation and has vowed to fight at the local and state levels to ensure our community has access to broadband.